Fred Astaire Dance Studio of Rockland County is conveniently located in Bardonia, making dance lessons easy to get to and a great opportunity to make new friends and social acquaintances in your home area. We’re situated in Clarkstown, northeast of Nyack and northwest of West Nyack, south of New City and west of Valley Cottage. This puts us in the middle of the Rockland County action and within easy driving distance for you. That makes it easy for you to take advantage of the experience of a lifetime in learning to dance and be at ease in social situations. We offer private instruction that gives you the specialized and personalized attention necessary to look your best and do your best on the dance floor. We have group lessons as well, where you can meet other students and practice your techniques. And in our practice lessons you make everything you’ve learned come alive under the watchful eyes of our skilled and trained instructors, who know everything there is about the Fred Astaire Method. No name is better known in dance than Fred Astaire. And no studio in the New York area can surpass the quality of our excellent professional staff. Our instructors are dedicated to teaching, but also have outstanding credentials in the world of competitive dance. Meet a few of them and see how impressive their life’s work and passion is in every style of dance. Victor Russu with Elaine Sheresky, Danielle Koren and Aviva Adler; all World Champions. Victor Russu has been associated with the Fred Astaire organization since 1998 and has been director of the Bardonia studio since 2001. Although he has coached many dancers to champion status, he still enjoys working with all types of dance students. Victor is noted for his ability to key in on students’ unique talents, enabling them to achieve their personal best. World Open Smooth Champions – 4 times. US National Open Smooth Champions — 9 times. US National Open Standard Champions – 2 times. 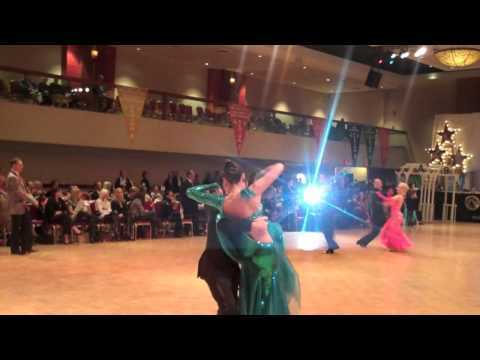 National Fred Astaire Open Smooth and Standard Champions – 4 times. Conveniently located, blessed with tremendous teaching talent, Fred Astaire Dance Studio of Rockland is the place for you to realize your life’s dream of learning to dance and developing confidence and flair on the dance floor. Dance offers so many benefits – health, confidence, self-expression, a social outlet, relaxation and fun. We hold parties, outings and an opportunity for you to develop your creative side. Dancing is a great way to add excitement to your life. Although learning to dance takes concentration and dedication, you will be constantly surrounded by artistic, cheerful people from the Rockland area who make learning a pleasurable and rewarding experience. So join us and have some fun! We also offer gift certificates for $100, $200 and $300!